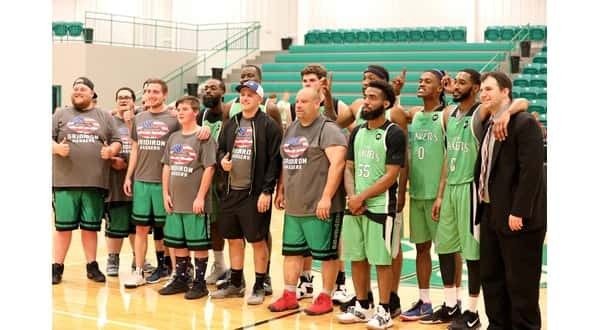 After the Rock City Nine forfeited, Mountain Home's semi-pro basketball team ended up taking on players from the North Arkansas Flag Football League. The Twin Lakers ended up beating the North Arkansas Gassers 126-37. Josh Tarver led Mountain Home with 39 points, Andre Brown scored 26, Nick Stone had 14, and Anphernie Harris added 11 points. The Twin Lakers get to count both the win and the forfeit toward their record, so they are now 3-0 on the season. Mountain Home's next game will be April 27th or 28th when they meet the Memphis Cyclones at the Yellville-Summit Multi-Purpose Facility.